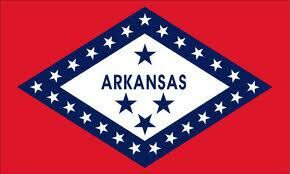 So several of you are thinking about, or say you are in the running for the Arkansas State Senate District 21 seat. Contrary to many media headlines, it’s not, and never was, Paul Bookout’s seat. It belongs to the people of Jonesboro and the surrounding area. That’s one thing. Just for the record. 1. Your candidacy, platform and service should be based in how you see things differently four years from now. What will have changed for the better, and what legacy will you leave? The fact is, for the most part, we’ve had a horrible group of state legislators from this area, who’ve brought us as much embarrassment as they have good. The truth is, we’ve enjoyed fair success, not because of, but in spite of, goofy and lazy state legislators whom we can only blame ourselves for electing. There were a few decent ones. Not that many. 2. On that note, keep in the back of your mind the state’s most widely circulated newspaper publishes its list of the 10 Worst State Legislators following each meeting of the General Assembly. We had a state senator who made that list not too long ago, They said he was as effective as a “piece of furniture.” Yes, furniture. The best you could say about him is that he was arrogant, yet ineffective. Two days ago, the man who carries that dubious distinction said he is running again. Whichever of you is elected to the District 21 Senate seat, do us a favor and don’t make that list. It embarrasses us. 3. You’ll inevitably say your platform gives high priority to education. Please don’t say that if you don’t mean it. Consider actually doing something that would make a difference in a first grader’s life 25 years from now. Want to ensure that young kids today have a job 25 years from now? Mandate second language fluency for graduation. Students in the European nations will be fluent in three to four languages upon graduation. Most students in Arkansas don’t even know grammatical English. The kids today who have second language fluency 25 years from now will never lack for a job. And have you ever read the educational guidelines from the Arkansas Department of Education? Could they be any more convoluted? Another idea? How about right here in Craighead County, maybe we should have one superintendent of schools rather than seven. I dare you to tackle that one. It’s the right thing, no matter what anyone says, or what turf they try to protect. 4. Lately, some state office holders have said our ethics guidelines are “gray.” Not really. Good ethics are pretty simple. You err on the side of caution. Always. If you can’t properly interpret state ethics guidelines, you probably shouldn’t run for office in the first place. 5. If you raise money for a campaign, spend it on a campaign. Spend it all. Don’t carry your funds over. Nip temptation in the bud. State legislators need not carry over campaign funds. 6. If you make a mistake, admit it, and don’t be so arrogant or self-absorbed with your own well-being, that you refuse to say, “I’m sorry.” It’s not cool, and the voters will never forget it. 7. Don’t try to be a big shot. In this job, you are a citizen-legislator. There’s a reason “citizen” comes first. It’s a part-time job where you are elected to serve and sacrificially give of yourself. Don’t try to be a big shot. It didn’t work out so well for the last guy. 8. If you are running for this office as a spring board to something beyond. Don’t do it. Run because you want to make a difference here. 9. Want to see an example of a pretty good state legislator? You need not look too far to Greene County. 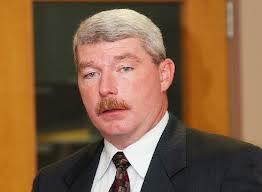 Robert Thompson shows every indication of a public servant with integrity, smarts and devotion. I question his decision to give legal representation to Paul Bookout, but it’s not the end of the world. He’s a good example for any state legislator. 10. Please understand the difference between your choice to be a politician, and your duty as a public servant. Politics is a necessary evil and often gets public servants in trouble. Public service, done well, is among the most admirable of vocations. And there is a big difference between the two. 11. When the media calls, call them back. Actually speak to them. Don’t hide behind emails and “press releases.” At the end of his term, the last office holder tried to manipulate his message by having a one-way conversation with the media. Ultimately, everyone saw through that. Rev. 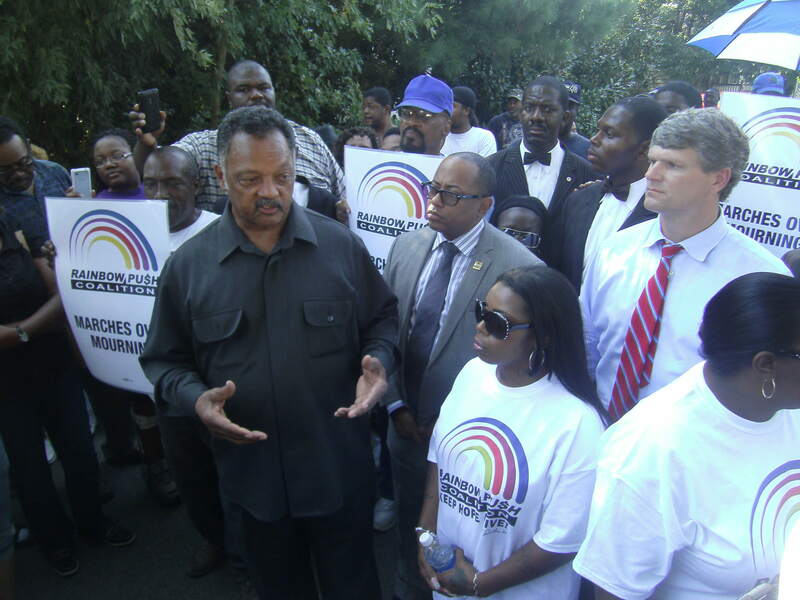 Jesse Jackson prepares to lead a peaceful march on the Jonesboro Police Department. At Jackson’s left is the mother of Chavis Carter. – Aug. 22, 2012. JONESBORO, AR – Rev. 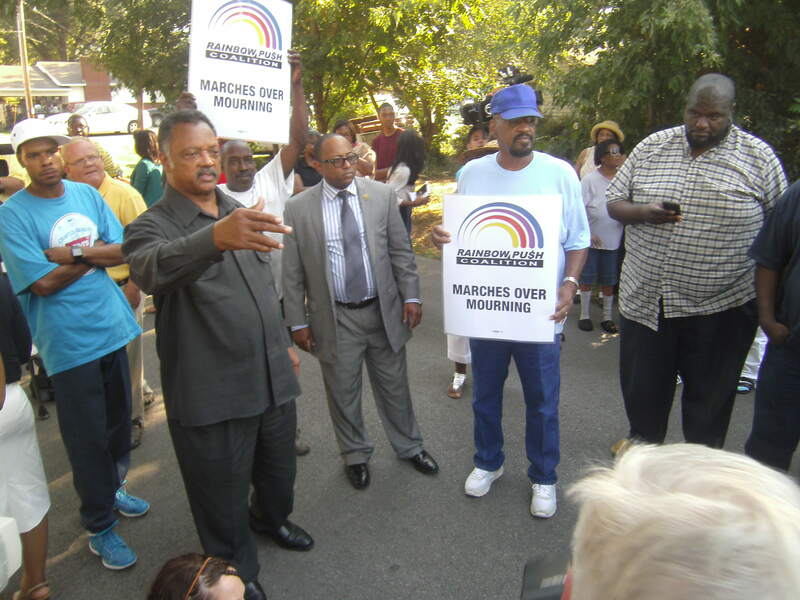 Jesse Jackson led a prayer vigil and peaceful march to the Jonesboro Police Department on Wednesday, calling on authorities to make account for a missing segment of video that would explain how a man died in the back of a police car. 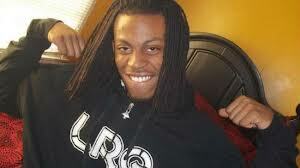 Jackson attended a series of meetings in Jonesboro and Memphis on Wednesday following the death of Chavis Carter, arrested by authorities on the night of July 28. Carter was handcuffed, placed in the backseat of a patrol car, and minutes later was found dead from a gunshot wound to the head. 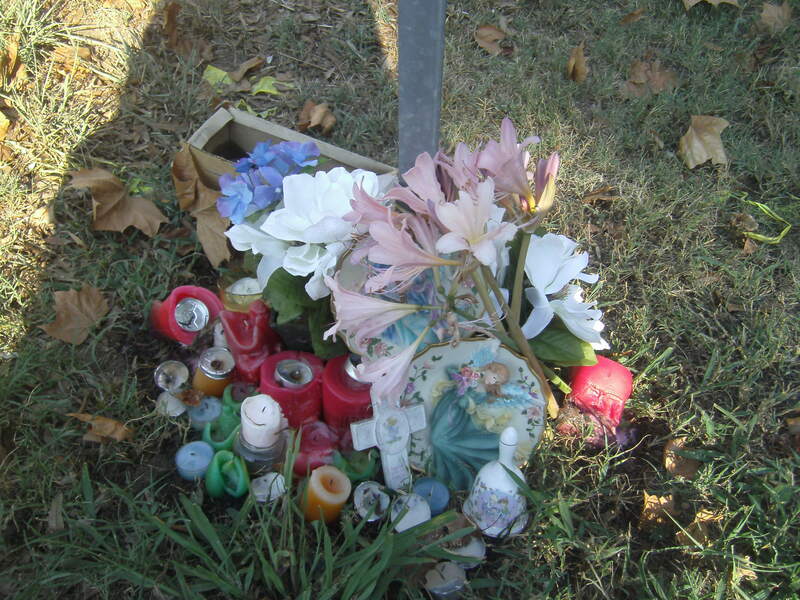 A simple memorial placed at the scene of Chavis Carter’s death. the moment of Carter’s death. An autopsy performed by the Arkansas State Crime Lab ruled the death a suicide, but Jackson and others question the ASCL’s ruling and the lack of details released in the case. Jackson said Carter’s family asked him to contact the U.S. Justice Department calling for an independent investigation of the case. Earlier in the day, he met with Carter’s mother at The Cochran Firm in Memphis. The crime lab report showed Carter’s blood contained trace amounts of methamphetamine, marijuana and anti-anxiety medications at the time of his arrest. Two arresting officers searched Carter twice, who was wearing only boxer shorts and a t-shirt before placing him under arrest. Jackson and others now question how police missed Carter’s alleged possession of a handgun. Department with allegations of racial profiling and claims that officers target minorities in low-income neighborhoods. Rev. Jesse Jackson organizes a peaceful march calling for the release of more details in the death of Chavis Carter in Jonesboro, AR on July 28. Some have called for the resignation of police chief Mike Yates, further claiming he left his previous position in Americus, Georgia under questionable terms. Claimants have produced no such evidence against Yates. One JPD officer speaking on condition of anonymity said further details will be released soon, making it clear Carter’s death was indeed a suicide. He said arresting officers in their search, did, in fact, miss a .380 caliber handgun in Carter’s possession. The officer said he believed Jackson’s visit complicated the divide between African-Americans and the JPD. We Know It’s Hot. 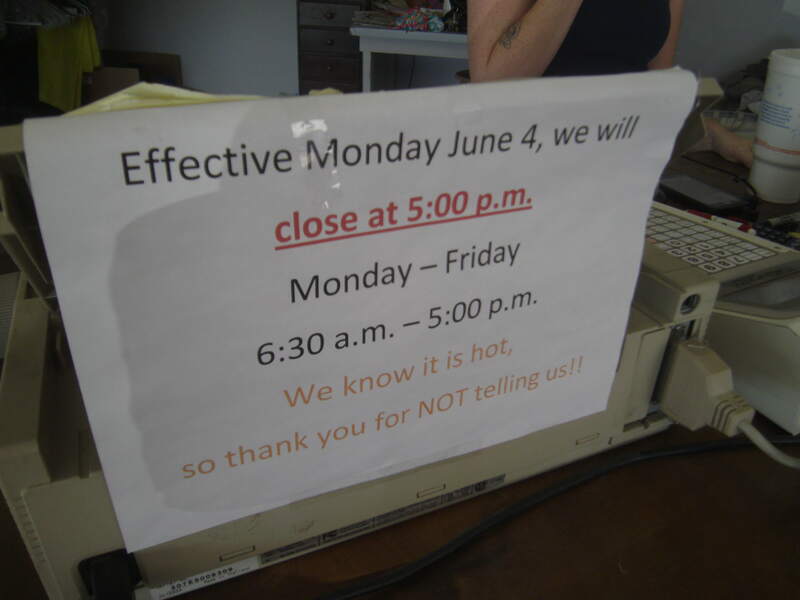 Thank You for Not Telling Us How Hot it Is. As the outside temperature bumped 103°, Sara Sullivan had listened to just about enough of the cutesy customer commentary. Sara’s the third generation of her family to manage a local dry cleaner in my hometown. They are an anomaly in the world of small business surviving the ups and downs of a fickle economy over the last 54 years. Their local enterprise serves about 150 customers each day. It’s not exactly a white-collar career, and the conditions aren’t always delightful. You see, the process for dry cleaning clothes starts with a heat-generating machine called a boiler. And there’s not an air conditioner in the house. It makes you sweat just thinking about it. No AC. 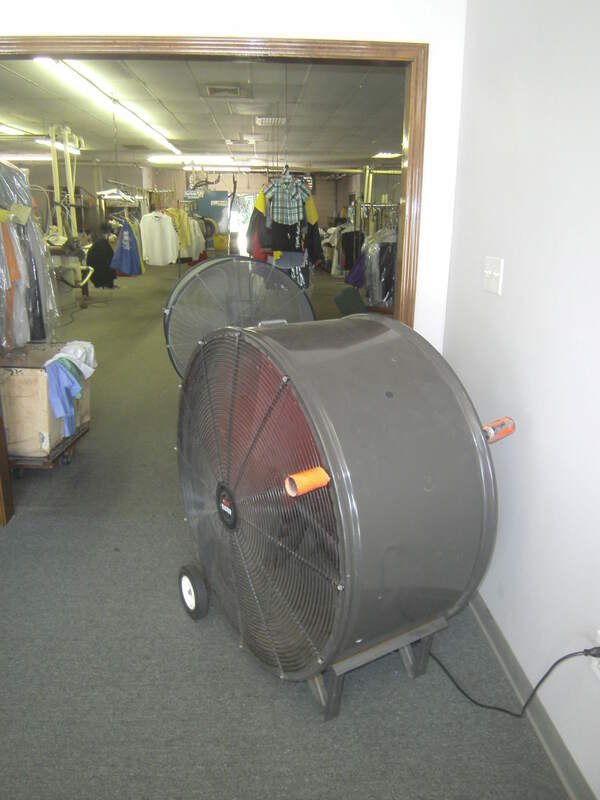 Fans only in this shop. Truthfully, they just blow the hot air around. It’s hot enough to peel house paint in Arkansas this week. Today’s forecast is for a high of 104° and I suppose we’ll break out the sweatshirts when it cools down to 99° on Monday. 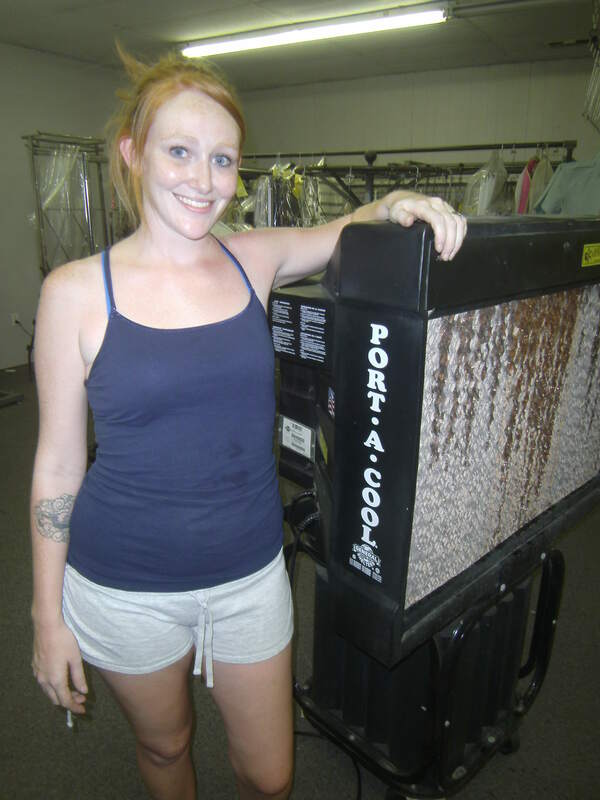 Take triple-digit heat, no AC and boilers, and the dry-cleaning business becomes a sweatshop. And did I mention the shop’s internal temperature typically runs 25° to 30° higher than the outside temp? Conservatively, that means the temperature in Sara’s business yesterday ran at right about 128°. And so the customer commentaries at Sara’s shop this week haven’t been exactly original. Sara Sullivan manages the business started by her great grandfather in 1958. “Good grief, it’s hot in here,” they’ll say one after another. She took the initiative, and prominently displayed the sign you see here in this post. It’s hilariously brilliant. “So what do you say to the customers who come in and remark about how hot it is in here?” I asked Sara during a quick interview. “Well I’d like to tell them if they really want to know how hot it is they ought to take a look at the sweat running down the crack of my a**,” she said. I do believe I touched a nerve with that question. One of my first recollections of church is a Southern Baptist cliché. I think I was 5 years old, so the year would have been 1971. An aunt was babysitting me for the weekend and she took me along one night to her church revival. It was hot summertime in Arkansas, the place was packed and all my 5–year-old mind could hear was a preacher saying I was going to hell if I didn’t repent. Hell, fire, losing my soul, dying lost – that’s what I recall as being the message. I was scared to death and became so uncomfortable I started crying and throwing a tantrum. Eventually, my behavior was so unruly my aunt took me to the car for the remainder of the service so as not to be a distraction. Why that background is important, I really don’t know, other than to say the “fear” of God is something that stayed with me for many years, until quite recently, in fact. Most of us who are “good church people” have pretty much learned “church” in similar ways. It’s the “place” we go on Sunday. We sing songs, we pray, we hear the weekly message, maybe a few people get “saved” at the altar call, and the next Sunday we do it all over again. Most of my adult life, I was a pretty good “church person.” I rarely missed, gave my time and resources, taught Sunday school. Still, I had failures along the way, and I took a performance-based approach to “make up” for all the shortcomings in my life. As one wise leader recently put it, there was always the “nagging chihuahua” of sin and failure nipping at my heals telling me I wasn’t forgiven, and God was mad. And so there really never was a time when there wasn’t a spiritual void in my life. Either I was missing something, not doing something right, or really just didn’t understand. It’s the latter of the three to which I’ve now drawn my conclusion. About six months ago I walked away from church. Right or wrong, it was a personal decision. I simply, in good conscience could no longer be a part of revising constitutions and bylaws, scrutinizing line-item budgets and trying to re-create what was created originally some 30 years ago. It felt to me as if it were an empty effort. For me, recreating a vision of the past was a missionless mission. In many ways, I believe that we (the body) have taken ownership of the church – and not in the best of ways. 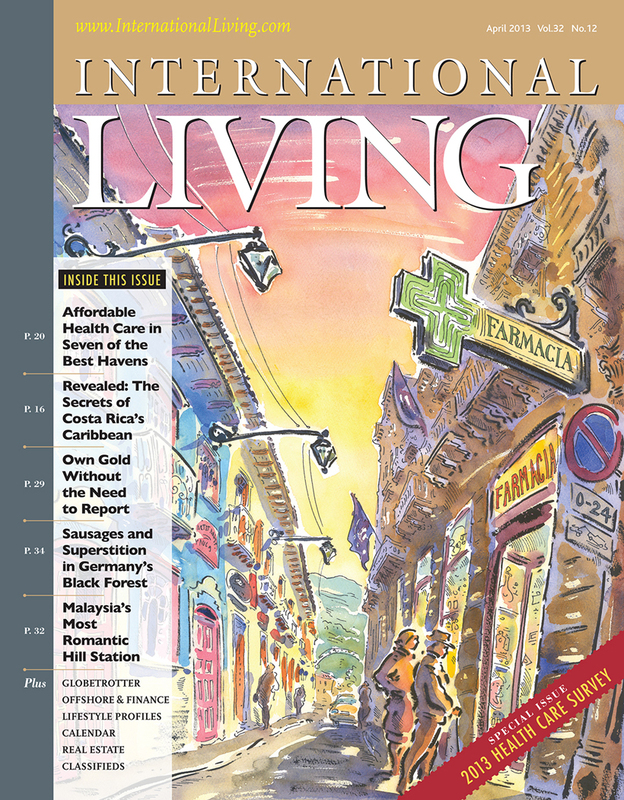 While we’ve been well-intentioned, we’ve taken the wrong turn at the fork in the road. We’ve tried to make the church what we believe it should be, but if we open our eyes to the reality of the world, it clearly isn’t working. “The related problem comes from the likelihood that around 60 percent of America’s population (much higher in Europe and Australia) is increasingly alienated from the prevailing forms of church. In missionary terms, it means they are culturally distant from us. As a sent and sending people (that is, missional people) it is our task to take the message to them and deliver it in ways meaningful to them. This means we need to reassess the situation in light of best-practice missionary approaches. 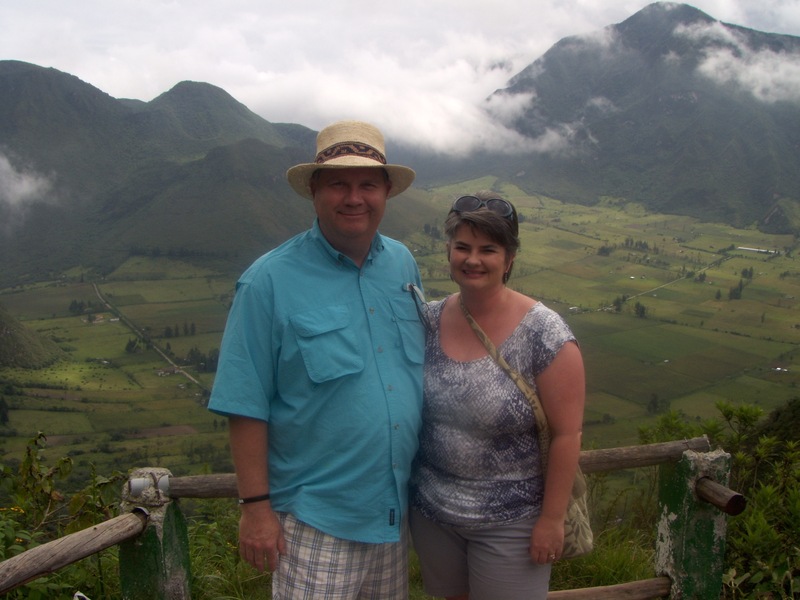 “We need to ask the question, what is the gospel for this people group? What would sound like good news to them? This means we must first attend to the existential and religious issues people are facing, before we can communicate how the gospel addresses them. Think of it this way: don’t plant churches; plant the gospel, and the church will grow out of it (emphasis mine). This will mean we go back to our primal message and allow it to reframe the way we see church – not the other way around. It’s imagination fired up by the gospel and its missional implications that drives the church to become more authentically evangelical. In our missional community group a few nights ago, I heard a perfect execution of the method outlined above. A young couple fresh out of Dallas Theological Seminary answered the call to serve as missionaries in Portland, Oregon – considered by some to be one of the most “unchurched” cities in the U.S. They learned quickly that building a “church” as we know it, was not the answer. They intentionally located themselves in a low-income neighborhood with a high population of lesbian-gays and single moms. 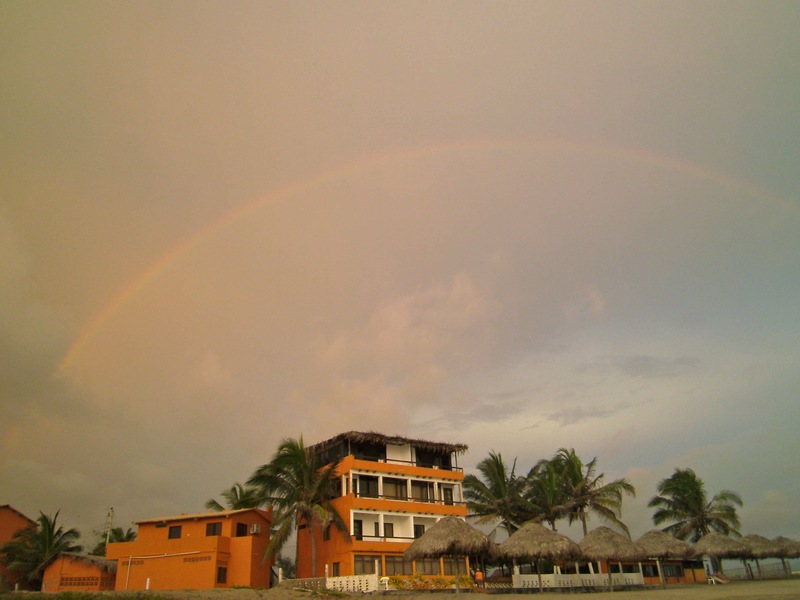 And from there, they immersed themselves in the culture, getting to know people, helping where they could, spending time with people and ultimately gaining trust to form home groups where people could be real, transparent and loved without judgment. From there, the MC (missional community) groups began meeting one Sunday a month as a “church.” And three and a half years later, they meet every Sunday for congregational worship. The weekly MC groups, however, remain as the hub of gospel love and transparent relationships. 1. I’ve never seen a person who feels “too” forgiven. 2. We must get up each day and approach life as if we’ve never heard the simple forgiving message of the Gospel. There’s an interesting history in the church steeple we see on so many of our buildings. Originating in the middle ages, some say the steeple was contrived to point heavenward to God and his kingdome. 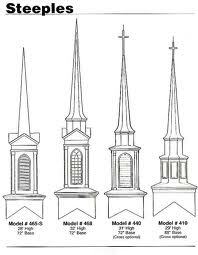 Others might argue the steeple is just one of many pagan symbols the church has adopted over time. 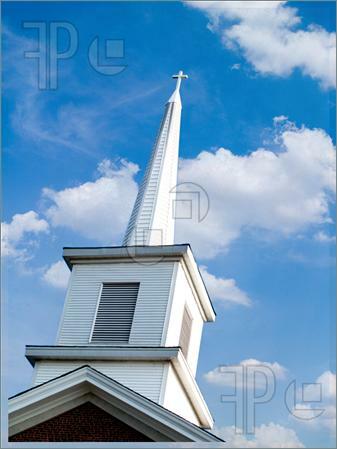 http://www.ehow.com/about_5052101_origin-church-steeples.html Maybe we should think about inverting the steeple with God pointing downward to his people in His abounding mercy, grace and love. Just maybe, God wants us to focus specifically on where we are at a given point in time, and work upward to the “bigger stuff” from there. When it comes to church, I have a lot to Un-Learn. Was watching a sunset to the west, then turned around to see this beautiful sight over Los Suenos del Mar toward the eastern mountains. A mile high looking down on the crater of an imploded volcano 1,400 years ago … now some of the most fertile farmland you can imagine. The clouds are actually below where we’re standing. 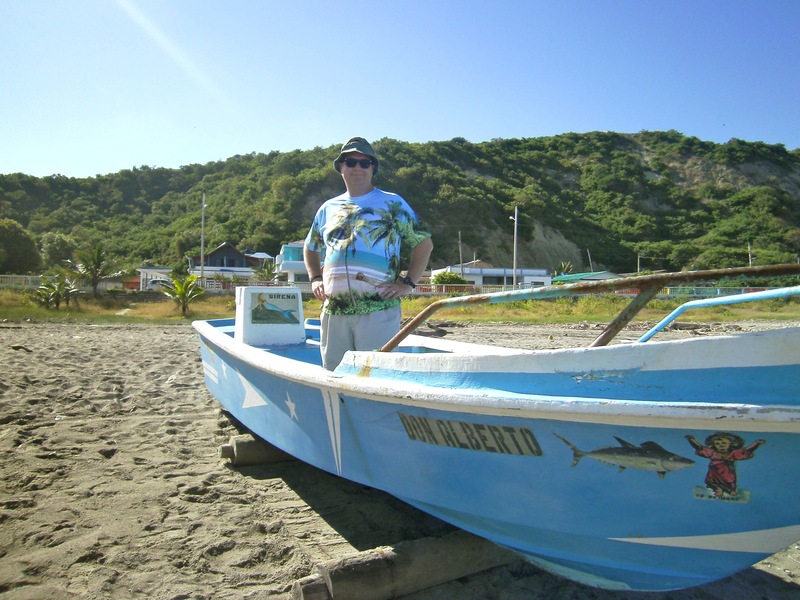 On the beach in Puerto Cayo, I love the ray of light coming down from the left in this photo.